Stop by for a refreshing breakfast in the morning. At ASTI Arthotel, Sinemorets, you may choose between 24 standard apartments (up to 5 people), 2 MAXI apartments (up to 6 people), and 4 Double rooms at the attic for (up to 4 people). All Rooms & apartments can accommodate couples, families, friends, and professionals and are equipped with all the modern comforts. Apartments on the ground floor are ideal for families with babies and toddlers, because they feature a private garden, while those on the first and second floors have terraces with views to the internal courtyard, the park or the sea. Great care is taken to ensure that rooms and public areas are cleaned daily. Our apartments are adapted for easy access for physically impaired guests of the hotel. Each day in ASTI starts with a rich, homemade Bulgarian Breakfast buffet, which we are very proud! Do not miss to try the traditional Bulgarian cuisine and a great variety of fish dishes at ASTI Restaurant, where our Chef and his team use fresh local farming products from our vegetable garden, local meat and fresh fish. You can choose from a selection of Bulgarian wines and rakia, as well as home-made cocktails and fresh juices, as the perfect accompaniment to your meal. At our outdoor pool you can enjoy free use of the sun beds, umbrellas and towels. The Bar & Grill at the pool side is another place where you can have dinner under the starry sky or enjoy a refreshing drink. The pool area is ideal for weddings and elegant cocktails, and our 2 corporate rooms can easily accommodate corporate events for up to 70 people. In all public areas and hotel rooms free Wi-Fi and cable TV are provided. We offer numerous opportunities to stay active during your vacation - open air tennis court, fitness center with table tennis and bicycles you can use to explore the Park and Veleka River trails. Our new children playground in the courtyard makes Asti Arthotel an excellent choice for a family vacation as well. A great range of unique beaches with golden sand and crystal clear waters are between 3-10 minutes from the hotel (Butamyata, Veleka, Lipite, Silistar, Listi). At your request we can organize transportation to Bourgas airport or railway station. We can also make rent-a-car reservations and organize trips in the Strandzha and Black Sea regions at your convenience. We are always available to help you explore the region and uncover the hidden treasures and unique beaches! ASTI Restaurant offers an excellent choice of Bulgarian and European cuisine and a great variety of fish dishes. Breakfast at ASTI Arthotel, served from 8:00 to 10:00 a.m. at a buffet table, is the perfect start to the day. We offer: a selection of breads made from local flour, traditional Bulgarian “banitsa” and “mekitsi”, omelets prepared with fresh eggs, seasonal vegetables, a selection of Bulgarian and cheeses, natural honey, homemade marmalades, yoghurt, and fresh fruits from our garden! All these delicacies are beautifully arranged as to comply with different preferences and tastes. Our Chef and his team, serve a range of traditional Bulgarian and Balkan region dishes. Bulgarian cheese, peppers, tomatoes and cucumbers, beef, lamb, fish, and Pinot Gris wine are just some of the well-known and sought-after products that have been prized for centuries. Adding freshly cut vegetables, fruits and herbs from our organic garden, our chef creates daily dishes that are a feast for the both the tastebuds and the eyes! Our carefully selected wine list together with a wide variety of rakias and aperitifs guarantee you will be able to select a beverage which will perfectly compliment the rich flavors of your chosen dish. Relax with a swim in the pool and enjoy iced cocktail or a cold beer or observe the best starry sky in Bulgaria with a glass of wine at the ASTI Bar&BBQ. We at ASTI Arthotel, Sinemorets truly believe in the Body-Mind-Spirit philosophy. For that reason we provide all the facilities you need to stay active on your holiday. Whether you like to do a few laps in the morning before breakfast or would like to cool off from the summer heat with a relaxed swim, our outdoor swimming pool is the perfect place. 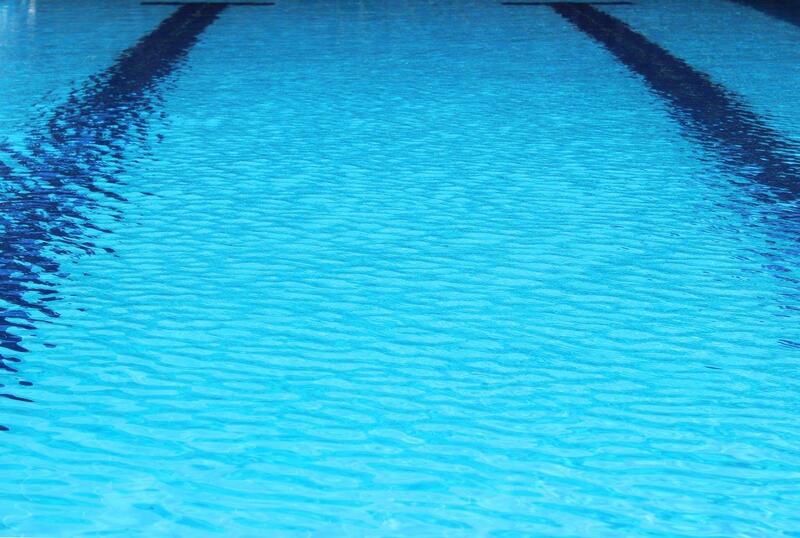 The pool is open for children (under age of 12 supervised) and adults from 8:00 am to 8:00 pm every day. Our private sundeck equipped with plentiful sunbeds and umbrellas is the perfect place where you can read a book or enjoy a glass of afternoon frappé in utter calm and privacy. In the evening, enjoy a glass of wine with a grilled steak or “shishche” (a Bulgarian grilled delicacy) and a fresh salad, or savour the starry sky and listen to the sounds of crickets and park birds with a lovingly prepared cocktail at the pool-side Bar & Grill. We invite everyone, young and old, from all skill levels to play an occasional game of tennis with your friends and family, because there is no sport more aristocratic. We provide balls and racquets for those who forgot to bring their own. If you like to maintain your daily physical workout routine, our fitness center has all the facilities you need, whether you prefer cardio workout or free weights. Our new playground in the courtyard makes Asti Arthotel an excellent choice for a family vacation as well. If you like to go off the beaten track, we have bicycles available to take you along one of the many marked and unmarked trails in Strandja Nature Park and along the coast. Happy exploring! Celebrate your special day, your wedding, or anniversary, with us in beautiful Sinemorets, at the Black Sea. We can offer accommodation and services that can help make your day unforgettable. Sinemorets is beautiful year-round, but during May and June, when the fields of Strandzha are green all over and full of wildflowers, the weather is often ideal for an outdoor wedding. You may even catch the scenic poppy fields at the end of May and the beginning of June near Veleka River. If you are looking for more exotic scenery, consider celebrating your special day in September, when the golden hue of the fields around Sinemorets magically contrasts the royal blue waters of the Black Sea, and the lush green forests of Strandzha National Park. Sinemorets has a small, but beautiful and rustic Eastern Orthodox Church, St. George, if you would like to have a religious wedding ceremony. There are two main beaches, each about 10 minutes away from Asti Arthotel on foot, Butamyata Beach to the south, and Veleka Beach to the north. They are perfect sites if you prefer a beach ceremony. Also, if you’d rather enjoy a more artistic setting, Sinemorets is surrounded by cliffs that overlook the sea, and create spectacular and memorable views. Accommodation for the wedding party and guests in 29 beautifully and individually styled apartments and rooms. A beautiful cocktail reception near the pool at Asti Arthotel. An evening with traditional Bulgarian songs and dances, and Nestinarstvo (fire dances). Nestinarstvo is a traditional dance from the region, usually celebrated at the beginning of June. Help with catering services and floral designs that make your day unique. Together we can create the event of your life, so please do not hesitate to call us if you have questions. ASTI Arthotel, Sinemorets is the best choice for your seaside corporate event. The exceptional design of the hotel, the quality of services, the unique location and the professionalism of our people guarantee an unforgettable event for you and your guests. The hotel has 2 air-conditioned conference rooms at the top floor, with a maximum capacities of 20 and 50 persons respectively.